Traditionally, you don’t buy a Toyota with your heart. It’s a rational purchase, led by a reputation for reliability and value for money. There’s nothing wrong with that - just ask the brand’s legions of fiercely loyal buyers - but this approach won’t appeal to flakey millenials who change their cars (and, crucially, car brand) as often as they change their iPhones. Enter the Aygo. 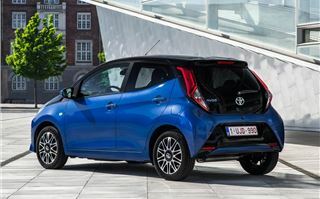 Toyota’s affordable city car has been co-developed with Peugeot-Citroen since 2005, with a second-generation model arriving in 2014. 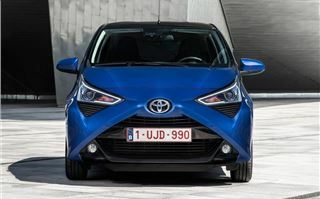 Its quirky looks, no shortage of special editions and customisation options not to mention that ultra-important connectivity, means the Aygo’s been a success story for the brand. 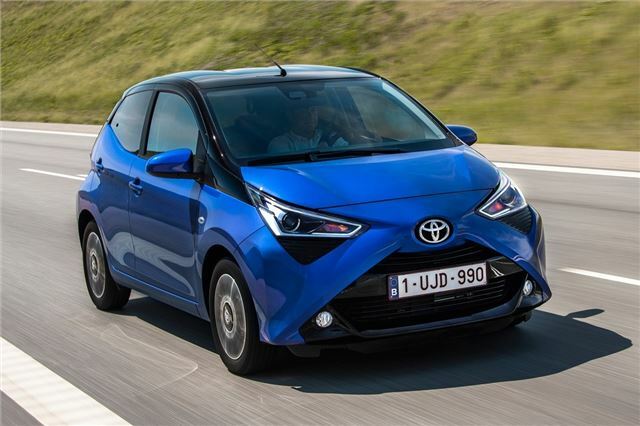 Around half of all sales are to new Toyota customers and, so far in 2018, it’s been enjoying the title of Britain’s best-selling city car ahead of the likes of the Hyundai i10, Kia Picanto and the Volkswagen Up trio. 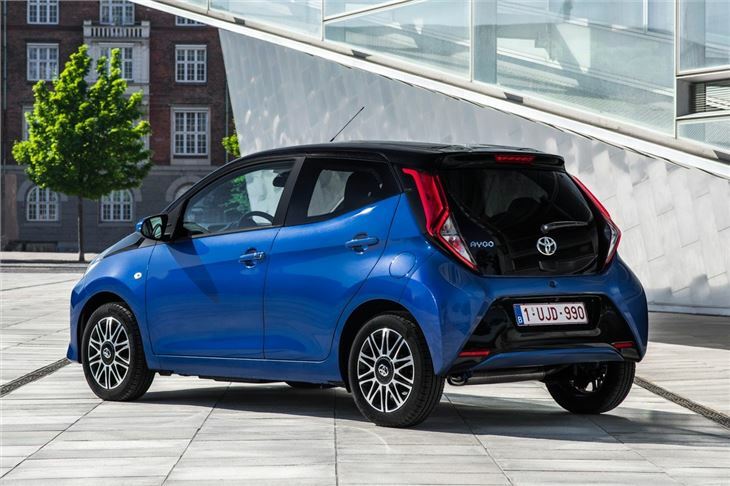 In a bid to keep the Aygo competitive in such a strong sector, Toyota’s city car has been given a mild makeover. Changes aren’t obvious but are most noticeable at the front, where there’s an even more aggressive 3D ‘face’ incorporating revamped light clusters. At the rear, the bumper remains the same but the taillights have been given a makeover. Cosmetically, it’s all fairly light stuff - strange, as it’s appearance which arguably matters the most in this sector. The biggest change is to the engine which, as before, is a three-cylinder, 1.0-litre petrol unit with a small power increase to 72PS. 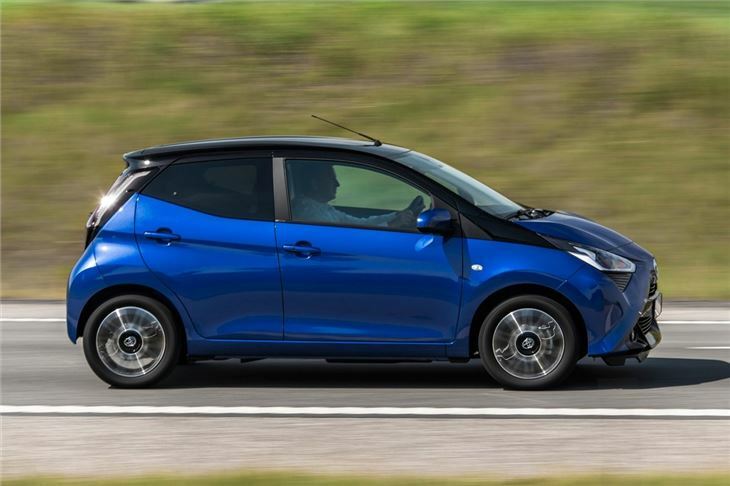 It’s the only engine available in the Aygo (Peugeot 108 and Citroen C1 buyers get a choice of this and a 1.2), while there’s a choice of a five-speed manual or x-shift automated manual transmission. When you first try the Aygo, you’ll notice that the clutch pedal’s short travel means you need to be delicate to get it moving. Most drivers will end up giving it a lot of revs to get it rolling - and the three-cylinder engine is extremely vocal when you do so. 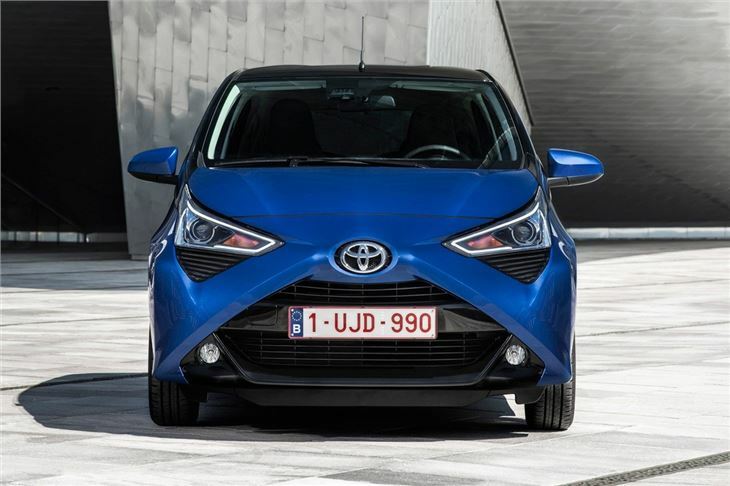 Once up to speed, it’s just as noisy, even though Toyota says it’s added extra padding in the doors and behind the dash to improve refinement. You don’t buy a car this size for sitting on the motorway, though - which is good, as it takes a lethargic 13.8 seconds to hit 62mph and slip roads can feel like a chore. 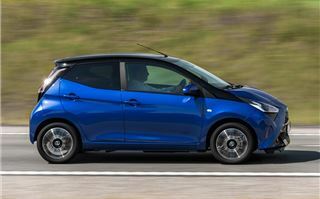 Nor do you buy it for practicality, which is also good, because the Aygo isn’t exactly spacious. You can pick between three- and five-door models, while the boot is fairly small but big enough for a few shopping bags. You can always drop the rear seats should you need more space, but they don’t fold entirely flat and you’ll still struggle to carry anything longer than a small ironing board. Around town or on rural roads, the Aygo is fairly good fun to drive. The rev-hungry pulling away procedure isn’t the most relaxing, but all the controls are light and easy to operate. Don’t expect pin-sharp steering but the ride is excellent, as is visibility. 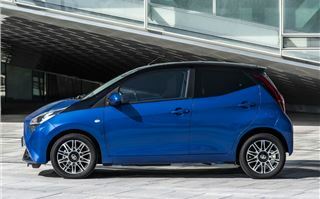 The manual gear change is slick (something you can’t take for granted among city cars), while a tight turning circle and compact dimensions means you can thread the Aygo through city streets without worrying about losing door mirrors. One gripe we have is with the seats. As with a lot of city cars, they’re not intended to be sat in for any period of time. Our discomfort might partly be down to the need to have the seat slightly more upright than we’d like - while the steering wheel moves up and down, it doesn’t adjust for reach. 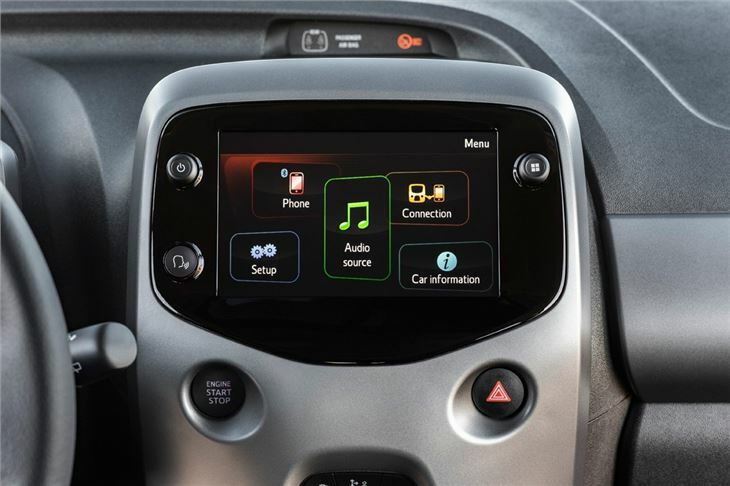 City car buyers love technology, so all models but the entry-level X features a seven-inch touchscreen with DAB radio and a rearview camera. X-cite and X-clusive models get Android Auto and Apple CarPlay, while the X-plore gets navigation as standard. 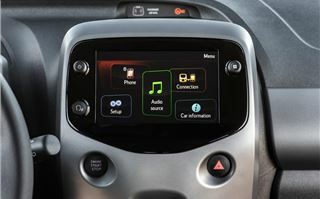 This technology works well, from our early drive, with the touchscreen system easy and intuitive to use. There’s no real reason why you shouldn’t sign up for a PCP on a new Aygo, but many of its rivals are just better. 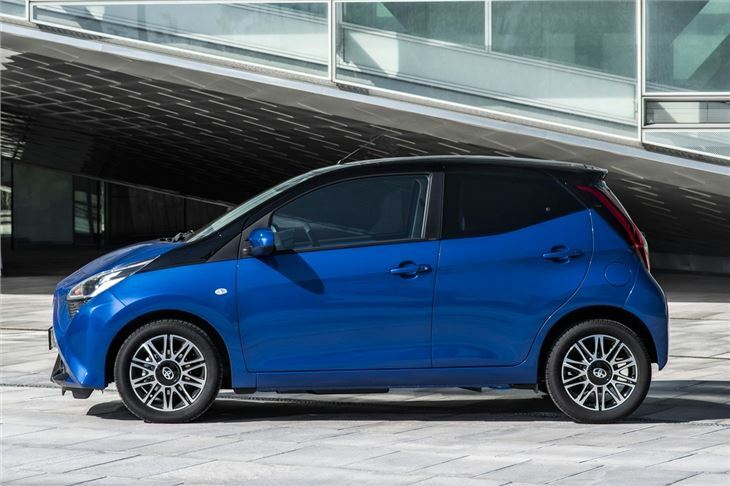 While the Volkswagen Up, Seat Mii and Skoda Citigo are starting to get dated, they still feel more mature than the Aygo, while the latest Hyundai i10 and Kia Picanto are extremely good. 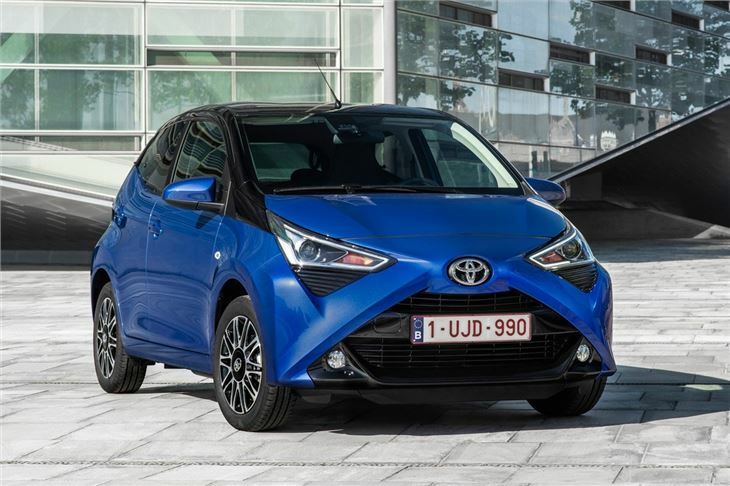 The Aygo falls short slightly on its interior and the engine is noisy and lacks punch, but you may decide that you can live with that for its quirky appearance and low running costs. 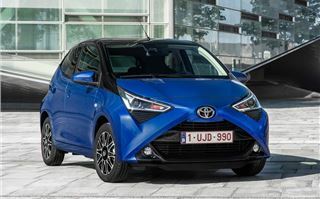 The 2018 Toyota Aygo will go on sale on 1 July.